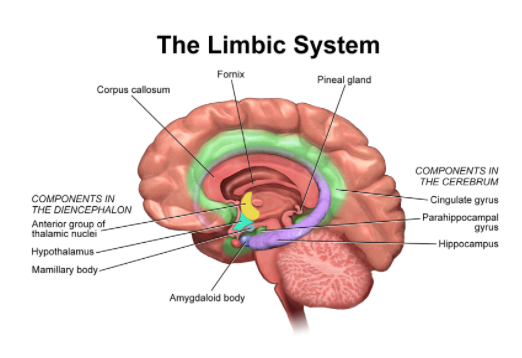 Emotions are generated by a complex called the limbic system. If different areas of the limbic system were to be stimulated by an electrode, the individual would feel an emotion. This supports the theory that all emotions are caused by events in the outside world. However also in the limbic system are centers important for learning --which means there is a link here to reason. It is hard to completely separate the two. Through the limbic system we perceive our sense of smell --which shows that emotions have a direct link to sense perception. In terms of evolution, emotions function as a source of motivation. However, we need to be careful about whether we would consider this kind of emotion (emotion as a motivator) actually 'using emotion' as a way of knowing. I would we argue that we shouldn't. It's better to use examples where emotion is actually providing the insights directly --rather than just motivating people and then they actually use sense perception or reason to make a discovery. "No aspect of our mental life is more important to the quality and meaning of our existence than emotions" (Stanford Encyclopedia of Philosophy). For example, the emotion of fear causes an individual to flee from a potentially harmful situation. If that emotion was not evoked, the individual would have no reason to flee the situation. Paul Ekman is an American psychologist who is regarded as a pioneer in the field of emotions. 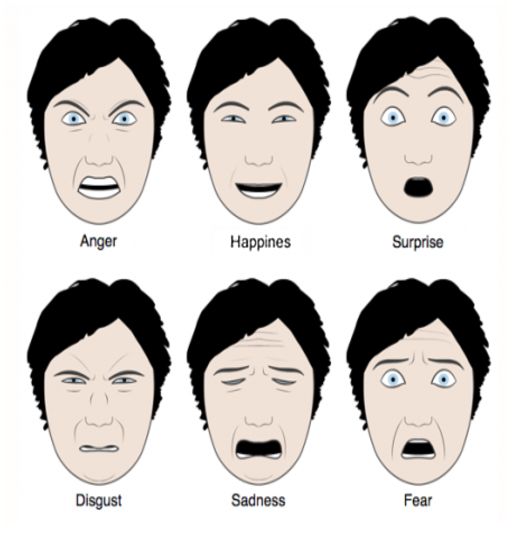 More specifically emotions and their facial expressions. They are universal, despite culture, language or geography. They are related to a specific facial expression which is also universal. Shaver et al. 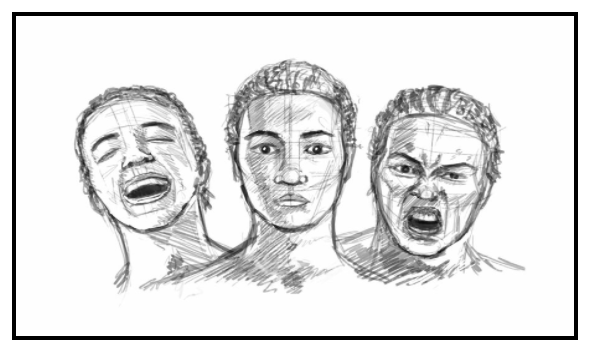 (2001) divided emotions differently, with 6 main types of emotions (Primary Emotions), and then a hierarchy of Secondary and Teritary emotions as well. A person can experience "Joy", and more specifically Glee and more specifically again Jolliness (Basic Emotions). This was a theory proposed by William James and Carl Lange. This theory states that emotions are a result of the experiences around us and not the other way around. For example if you encounter a tiger in the wild, you sense it using your five senses, process it, and as a reflex we start running. 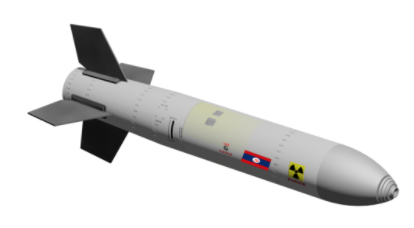 Because of this we feel scared. This theory states that “we feel sorry because we cry, angry because we strike, afraid because we tremble.” (James W). If this theory is completely true, it would mean that our emotions are entirely dictated by our the stimuli in the world around us, and therefore by our senses. However, are our feeling completely malleable to the world around us? Or do other factors, such as reasoning play a part in our emotions? The Two Factor Theory of Emotion was theorized by Schachter and Singer in 1962. It is similar to the James-Lange theory except for one key difference, instead of ‘interpretation’ in the thought process (shown above) there is reasoning. If this theory is true it would mean that not only are emotions a result of the experiences around us but also are a cognitive act. In other words, emotions can be influenced by our brain/reason. Emotion is an instinctive feeling, controllable by an individual’s environment. Reason is used to form judgements based on logic. Based on these two definitions it would seem that these two terms do directly conflict each other. However more recent research has shown that these two definitions/ideas about reason are inaccurate. 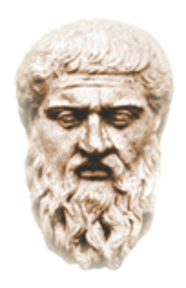 The two factor theory of emotion states that emotion itself does contain reason. This is an superb example of an instance where emotion or intuition was a more reliable source of knowledge than reason. What Riley did may not have been the most reasonable thing to do, however it happened to be the best thing to do. With that said, was it morally right to do what Riley did? Some people seem a bit more clever about their emotions than others. They are more aware of their own and other peoples' emotions, and label them accurately. They are also more able to express their emotions and use emotional information to guide thinking and behaviour and to manage their emotions to achieve goals (Coleman). Psychologist Daniel Goleman labelled this type of intelligence Emotional Intelligence. (You can rate your own HERE.) 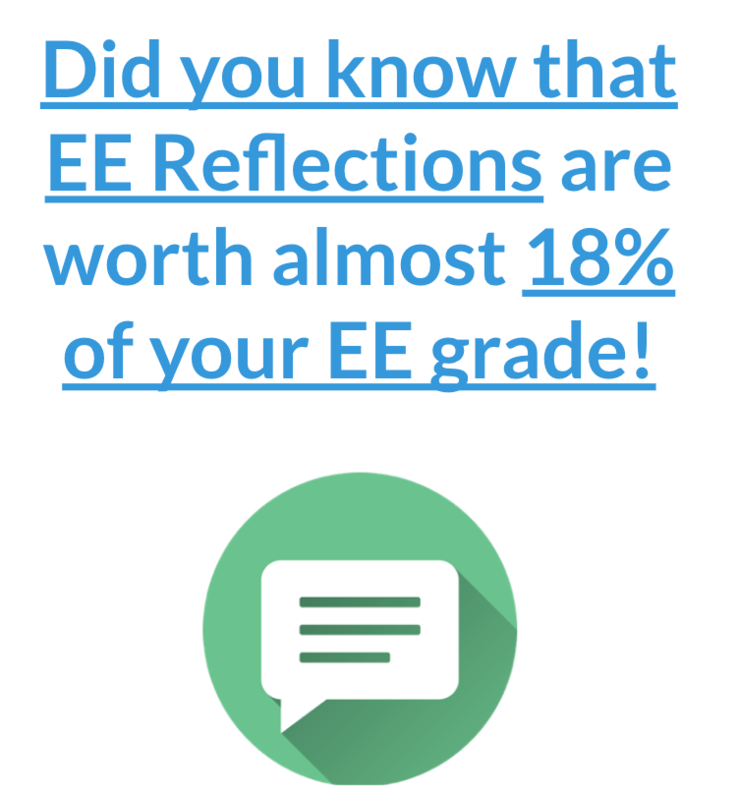 Arguably those with higher EI have more ability to create reliable new knowledge through emotions. 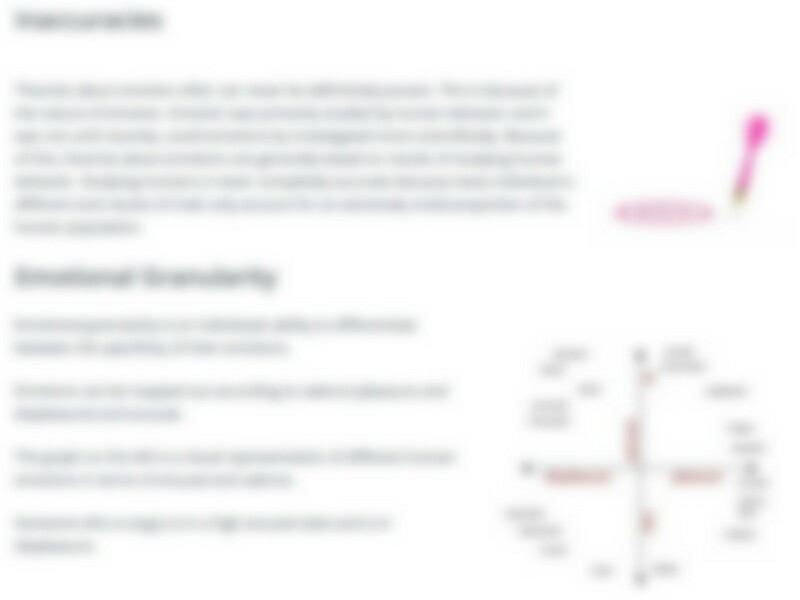 Okay, that's all for the TOK Emotion notes preview. 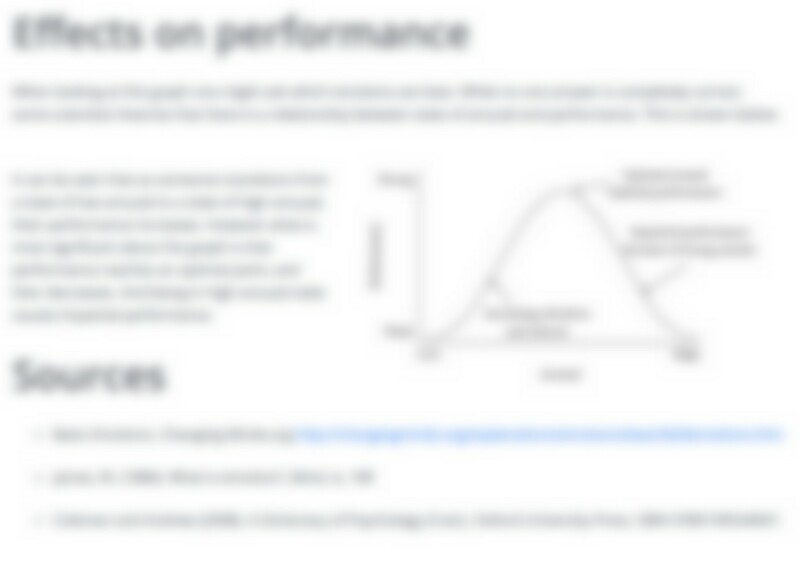 Click here to become a subscriber and you'll get the full, premium Emotion notes right away. 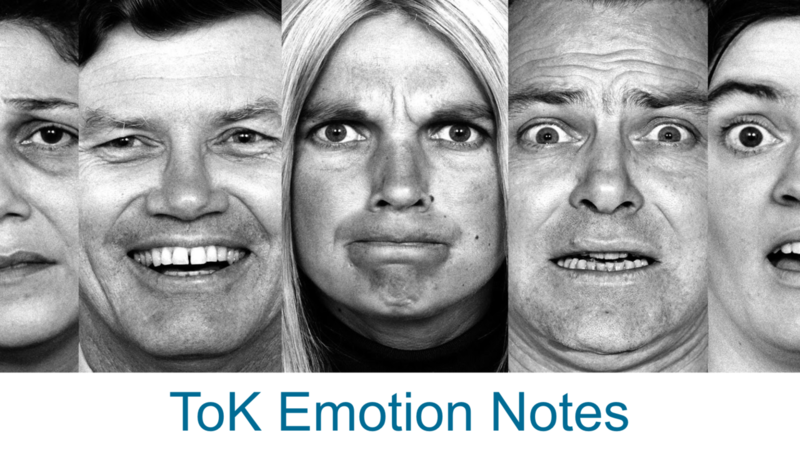 (Then, after you join, click here for the full TOK Emotion notes.